Gypsum boards are widely used for internal walls and ceilings, and are manufactured by calcining gypsum into a plaster, making a slurry from the plaster, and passing the slurry through machines which shape, set, and cut into a board. Gypsum boards are produced from high purity natural gypsum core being sheeted in a closely adhering best-selected special cardboard. Gypsum Boards are manufactured according to EN-520, ASTM C 1396 and DIN 18180 standards. 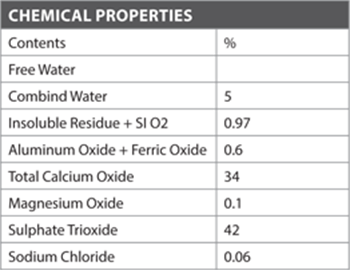 Concerning fire resistance boards, comply with DIN 4102, UL 263 and ASTM E119-88. • Tapered edge boards (This type is common and convenient to use. Paper tapes are fixed between the edges of two boards. • Squared edge boards (Untapered edge). • Beveled edge boards (Are produced on demand). 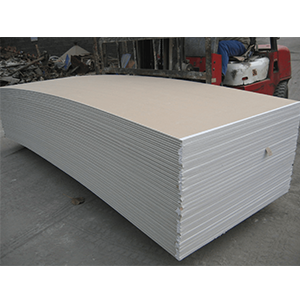 Gypsum boards are of standard width of 1200 mm and a length from 1800 mm to 4500 mm. 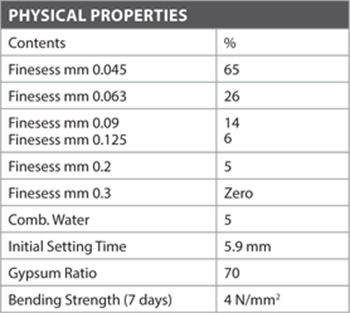 Gypsum Boards’ thicknesses of 9.5 mm, 12.5mm, 15mm and 18mm are available.